Все ж например Урсула Ле Гуин ( У́рсула Крёбер Ле Гуи́н ) - вполне неплохо писала фантастику. Из "Наших" - Латынина вот. Если оной (фантастикой) посчитать "Дефективы" - то вообще просто соцветие. В общем, "Сумерки", "Голодные игры", "Дивергент" и все прочее, в том числе и вполне годная "полутрилогия" Аберкромби. а также минимум треть Хайнлайна. Для примера. Причем зачастую хорошая, годная треть. Чую себя делящим шкуру неубитого призрачного медведя. Нада почитать автора на русском. Но радужных надежд нет ибо женского полу я видел только один рассказ и он был ниочень мягко говоря. DELmar, не помню, чтобы Nellus Academy Incident был в Библиотеке даже на английском. Я в целом о авторе. Не касаясь вселенной баттлтеха. Маленький Скорпион писал(а): DELmar, не помню, чтобы Nellus Academy Incident был в Библиотеке даже на английском. Эти книги Хайнлайна обычно классифицируют как juveniles. 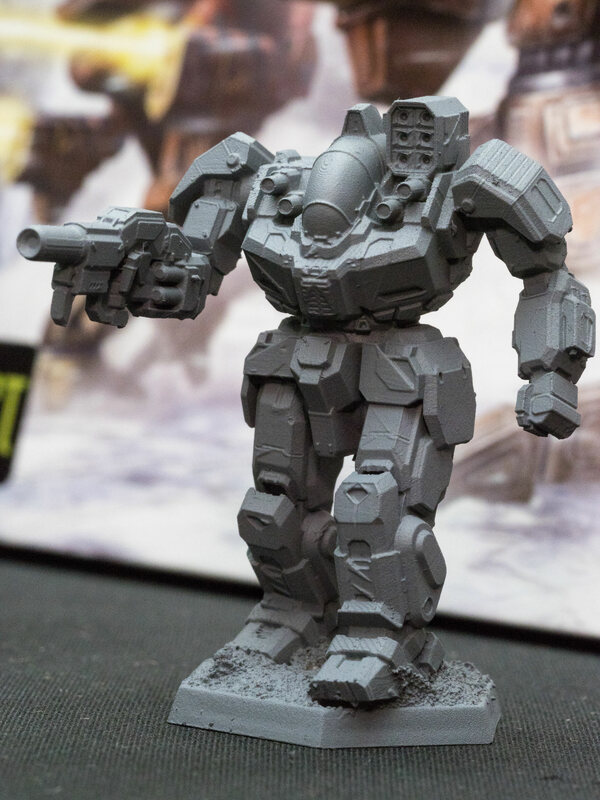 Прошёл Mech_Con 2017, Каталисты представили два новых сета: BattleTech: Beginner’s Box Set и BattleTech: A Game Of Armored Combat. Во втором боксе также лежат 8 минек: Battlemaster, Awesome, Thunderbolt, Catapult, Shadowhawk, Wolverine, Commando, и Locust - все выполнены в новом дизайне. Примерная дата выхода: 1 квартал 2018. А как же права на ансинов? И если выходят в пластике, есть ли надежда на выход в металле? Насчет макроссовских - сейчас идёт суд, не очень понятно, что будет. Бен Роум походу обиделся, и забыв про NDA выложил свой драфт для книги "Иль клан"
"На обложке будет изображен бой на мехах между Алариком Уордом (Сэвидж вульф) и Девлином Стоуном (Атлас II) Битва ведется в круге равных посреди Антарктиды. Должен был виден один из пилонов, отмечающих край круга. Драка титанов посреди огромных глыб льда и завихрений метели." Что-то слишком много "ударов в спину", как по мне. Ну и уберволки которые оттяпали огромный кусок лиранщины и бывшей ЛСМ, и сумевшие быстренько все это "переварить"... несколько надуманно, на мой взгляд. Ну а в целом, занятно. Статья, могущая показаться небезынтересной. Я ее даже перевел, но форум скинул мою аутентификацию на форуме и все потерялось. Желания писать все повторно я не нахожу. В жопу. 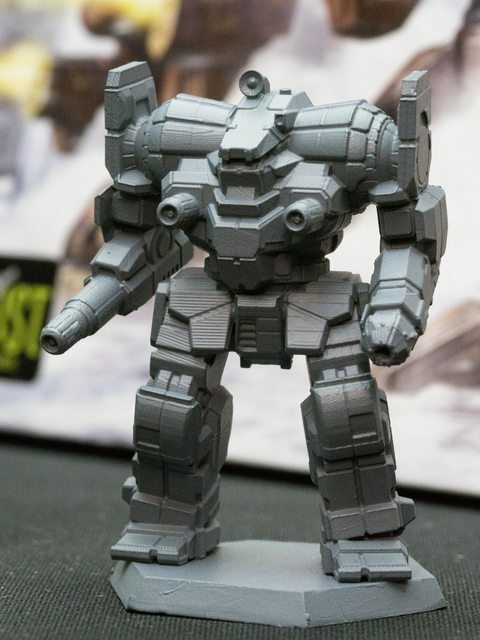 Iron Wind Metals is known today for its Battletech miniatures and its continuation of some old Ral Partha miniature lines. Today, roughly a third of IWM‘s income comes from distribution and wholesale, another third from its online store, and another third from producing or fulfilling miniature lines for other companies. Tom Meier forms Ral Partha, together with Jack Hesselbrock, Marc Rubin, Rich Smethurst, Glenn E. Kidd, and Chuck Crain. Ral Partha pioneers certain productions processes and produces popular miniatures under a D&D license from TSR. At the time, Tom is in junior high-school, only 16 years old. The company is founded to promote and produce his sculptings. He remains the only sculptor until 1980, and the primary sculptor until he starts a new company in 1988. Citadel Miniatures, a subsidiary of Games Workshop, acquires the UK Ral Partha license. Citadel promotes Ral Partha in the UK, and in turn Ral Partha promotes Citadel in the US. Jordan Weisman forms FASA, a company that will eventually acquire Ral Partha. Michael Noe, eventual factory manager of Ral Partha and of Iron Wind Metals, joins Ral Partha. Also at this time, Citadel forms a US division, using Ral Partha as manufacturers for their miniatures. Fantasy Productions (FanPro) is formed. FanPro works into our story later on. Ral Partha takes over the Citadel US division, marketing them as Ral Partha products. 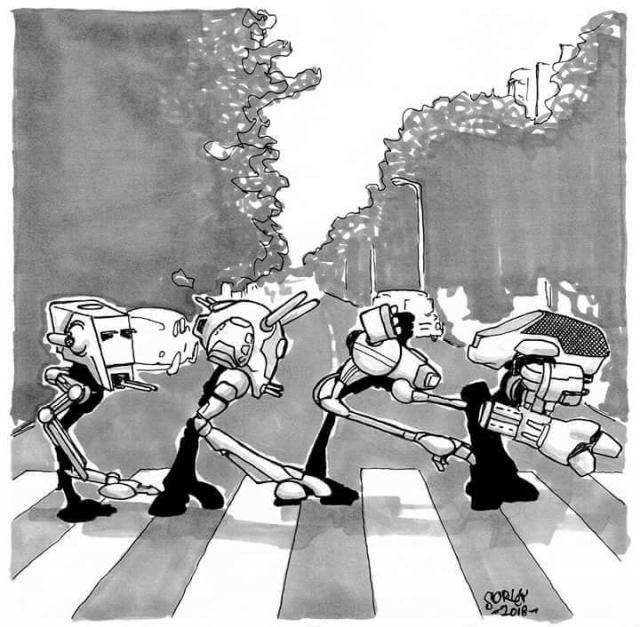 FASA creates the Battledroids board game. Ral Partha begins producing Battledroids miniatures for FASA. 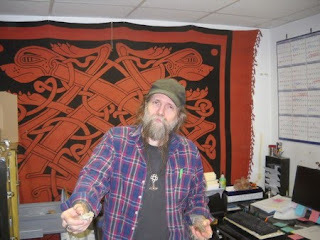 Tom Meier, as a result of some disagreements over copyright issues and a deal with RawCliffe Pewter, begins looking for alternate venues to market his miniatures. FASA renames Battledroids to Battletech, owing to a trademark dispute with Lucasfilms. 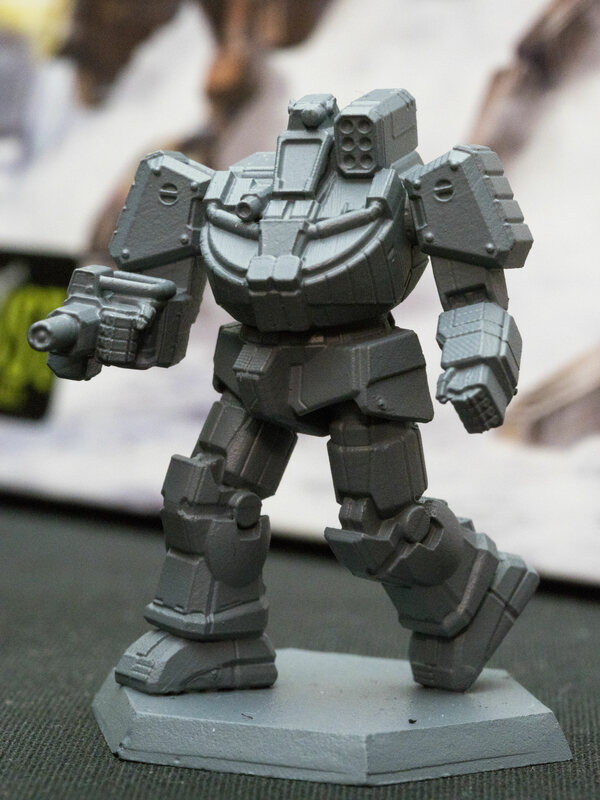 Minifigs acquires the UK Ral Partha license, as well as a Battletech license. Ral Partha drops the Citadel US line. Tom Meier forms Thunderbolt Mountain Miniatures to do personal projects. He continues to work for Ral Partha on a freelance basis. He continues to retain stock until the company is dissolved. FASA creates Shadowrun, a fantasy RPG system. Ral Partha begins producing Shadowrun miniatures. 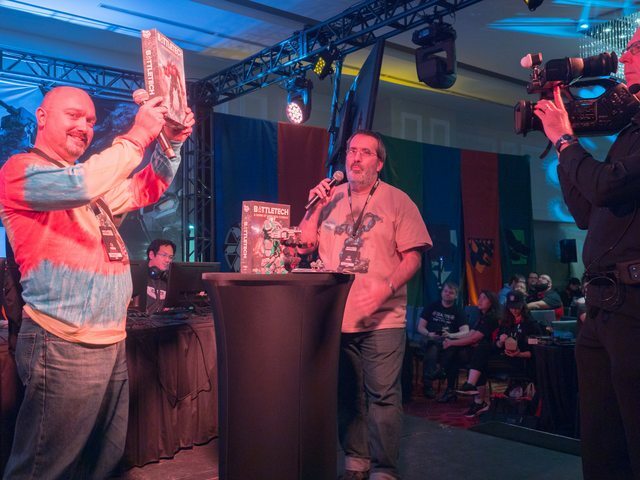 Over the next several years, Ral Partha earns numerous awards for its Battletech and Shadowrun miniature lines. Wizards of the Coast acquires TSR, shortly thereafter ends Ral Partha‘s D&D license, and orders all existing D&D molds destroyed. Pthhhffft. Revenues from other Ral Partha lines also begin to drop, leaving it with only one successful line: Battletech. Update: Shadowrun and fantasy were still making some money, too. In desperation (Update: or for personal reasons), Ral Partha sells itself to FASA and Zocchi Distribution. FASA gains sole ownership of Ral Partha. Hasbro buys Wizards of the Coast. While still at FASA, Jordan Weisman founds WizKids to sell MageKnight, which becomes massively popular. FASA unexpectedly ceases operations. Various explanations are given as to why, such as exiting the market while things are good. The licenses remain valuable commodities. 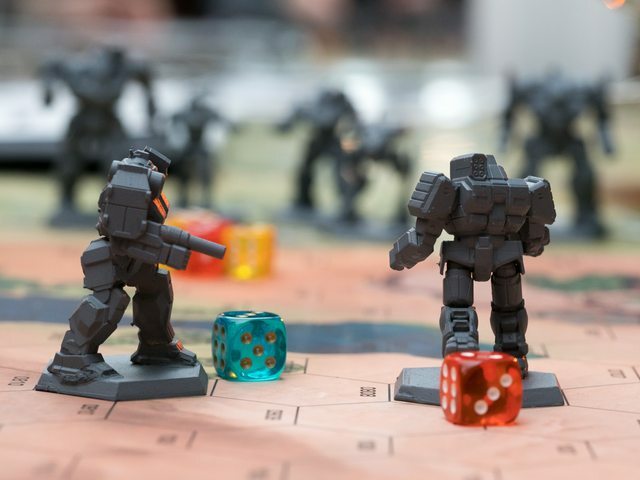 WizKids buys Battletech and Shadowrun licenses, as well as many of the original Battletech and Shadowrun miniature lines, although Tom Meier keeps control of many of his lines. WizKids licenses BattleTech and Shadowrun to FanPro LLC, a US division of FanPro. WizKids spins off Ral Partha, which, owing to various legal issue, becomes Iron Wind Metals. 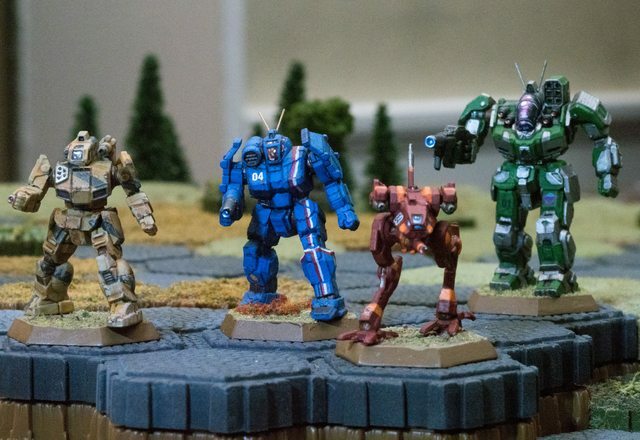 IWM continues to create Ral Partha, Battletech, and Shadowrun lines, as it still does today. IWM‘s management includes Michael Noe and Marc Rubin. InMediaRes forms. ImResMedia creates BattleCorps in order to create BattleTech branded fiction. WizKids licenses Battletech to InMediaRes for this purpose. Also at this time, Topps buys WizKids. InMediaRes creates HoloStreets in order to create Shadowrun branded fiction. WizKids licenses Shadowrun to InMediaRes. Jim Fox forms Fox Miniatures to produce certain Tom Meier lines of miniatures. [Update: Tom says: I’m making a 1/48 WWII line for him he’s not marketing them for me. I’m selling the copyright to him, they will be his completely, I’m just doing the sculpting and initial mold making.] While IWM pimps itself at GenCon and Origins, Fox Miniatures jointly pimps their own products together with IWM at other game conventions. Tom also creates figures for Dark Sword Miniatures, who outsources production to IWM. FanPro LLC loses the licenses for Battletech and Shadowrun. InResMedia creates Catalyst Game Labs to acquire these licenses to create game expansions. CGL includes employees from FanPro LLC. Also at this time, Tornante buys Topps. Near the end of the year, Topps shuts down WizKids, citing the economic climate. A scramble ensues to secure the Battletech and Shadowrun lines, as well as other important WizKids lines. After wrangling, Topps decides to keep the Battletech and Shadowrun licenses for themselves, and sell the rest of WizKids to NECA. Catalyst Game Labs and Iron Wind Metals continue to license Battletech and Shadowrun. Battletech is a story about combat in a fictional future universe. 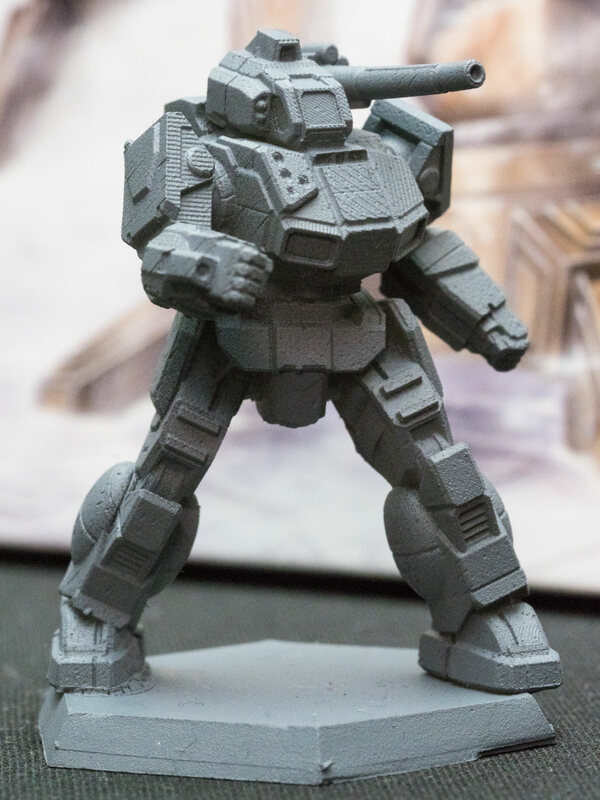 Several companies license the rights to create products in this universe, including fiction (BattleCorps, a division of InMediaRes), war / role playing books and technology descriptions (Catalyst Game Labs, a division of InMediaRes), and miniatures (Iron Wind Metals). In the past, there have also been a CCG, cartoons, and other products. An online gaming version is being handles by Smith & Tinker, headed by Jordan Weisman. IWM creates the figures to match new technologies, arms, humans, and vehicles as defined, described, and illustrated by Catalyst Game Labs. In the past, such as when IWM was working alongside FanPro LLC, IWM would have to figure out what was new by looking at the new product catalogs put out by FanPro LLC. Nowadays, CGL gives IWM a heads up over what’s new before their new products hit the public. To me, it seemed like a natural idea for CGL and IWM to cross-promote each others’ products, but somehow this hasn’t happened, yet. IWM also does work for Wyrd Miniatures, Impact Miniatures, Dark Sword Miniatures, and Crocodile Games, among others. Oh, and you see those words “Paints and Accessories” in the logo at the top of this post? They tried that, but they don’t do that right now; Reaper Miniatures apparently did/does it better.